A couple of times over the years I have mentioned Aldi in these pages because I really like their Toro Loco Tempranillo red and Toro Loco Bobal Rosado / Rosé from the Spain’s Utiel-Requena wine region. They are extremely good quality wines, deliver loads of pleasure and will disappoint no one at the £3.69 asking price. I like Gavi and think it is one of the best of Italy’s traditional dry white wines from indigenous grapes – of course recently I have discovered the wonderful whites of Etna and Campania. This had the little bit of weight, almost creaminess like a Mâcon, that I associate with good Gavi and a slightly nutty character, fresh acidity and was just a tad richer than crisp making it very attractive and enjoyable. Extraordinaryly good wine for £4.99. 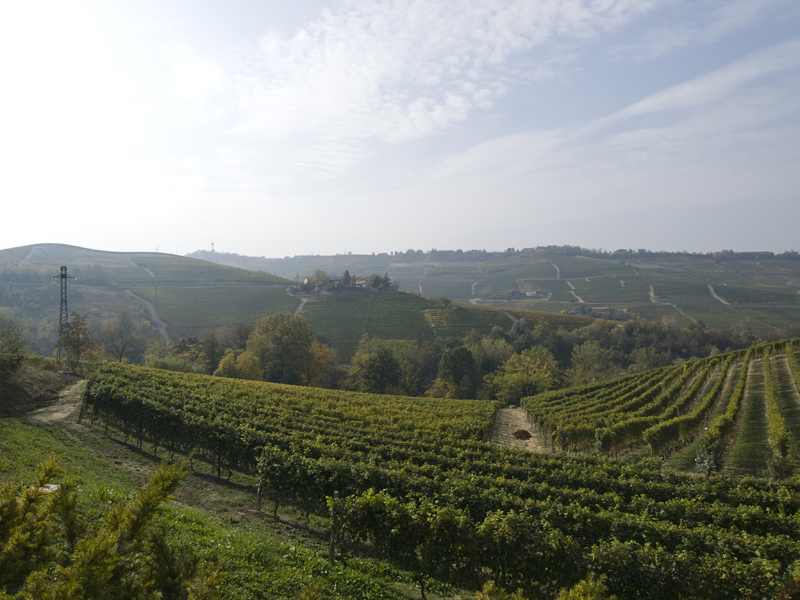 The beautiful rolling hills of Piemonte – photo courtesy of Fratelli Martini Secondo Luigi. Another stunning value bottle of wine made by one of the top producers of the region. This is not the finest Albariño I have ever tasted – it lacks a little acidity, minerality and poise for me – but only a little and it is a lovely and enjoyable dry white wine. It is concentrated and tasty with some succulent fruit and some freshness from the acidity. An excellent aromatic, floral and peachy dry white wine and a good Albariño for beginners. And the price is just £5.99! 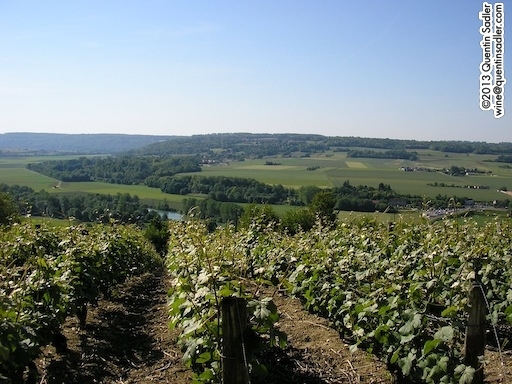 I like Mâcon wines and think they can be really very attractive indeed, provide value and sometimes really great quality too. Well, this is a nice wine, it is very classic and European – not a fruit bomb – there are discrete apple and pear notes, nice acidity and flinty minerality even. This is very much on the light end of the Mâcon spectrum, but it isn’t dilute, it is fresh, very dry – verging on crisp – and just medium-bodied, so refreshing and gently rounded too, but clearly unoaked. It is nice and great value, but the Gavi is better – £4.99. I don’t often choose to drink a Provence rosé – I don’t really know why, I just never think of it, so did not know what to expect from this Grenache, Cinsault and Syrah blend. It looked attractive having deeper colour than I often associate with Provence and was in the classic curvaceous bottle. Incidentally I have been informed that this was from the 2012 vintage, but I searched the bottle in vain for that information. This is a very drinkable rosé – judging by how fast the bottle emptied – very fresh and lively with good acidity and a core of juicy red currant, cranberry and strawberry fruit. A great deal of pleasure for just £5.99. To be honest I put off trying this. Cheap / inexpensive Pinot always makes me wary and Vin de France is roughly what used to be called Vin de Table, so it theoretically pretty basic stuff, but I tried it in the end. Again you will scour the label in vain for the vintage, but that doesn’t really matter. What matters is the wine and this is quite remarkably good, soft, juicy and fruity. It has the soft tannins and bright fruit of a nice Beaujolais, but some Pinot-like earthy fruit quality too. It is not a great Pinot by any means, but it is a very good Pinot for the price and a nice drop of easy drinking, soft red wine. Amazing value and very versatile, with food, without food, room temperature, chilled, even mixed with lemonade and all for £4.49. I was half looking forward to this and half dreading it. Somedays I thought it was going to be ok and others undrinkable. Well it was better than both those thoughts. This is genuinely a nice bottle of Champagne, fresh, lively and very appley with a soft mousse and palate. Frankly for the £12.99 price tag it is stunning! The only odd thing about really is the back label, where it claims; ‘Ageing in cellars 5 years more than the legal minimum has enhanced its complexity.’ Really, this spent 75 months on the lees – the legal minimum is 15 months for Champagne – it doesn’t taste like it, which is a good thing I think in this instance and it would cost an enormous amount to do that! I haven’t given these wines any points as that would be, er well… pointless actually. All of them are just right, absolutely what you want, extremely well made and very good value for anything like the price. So, if you want nice wines and no surprises – except for the low price tag – then it seems to me that Aldi can offer much more pleasure at their normal on the shelf prices than most of their competitors do with their special offers. Aldi didn’t only send me wine by the way, there was also a bottle of Oliver Cromwell London Dry Gin in the box and as I type this I am enjoying a rather good Gin and tonic made with it. As a republican – American readers note the small ‘R’ – and admirer of Cromwell, given the times he lived in, I could not resist trying it and I am glad that I did because it really is pretty good, nicely perfumed and aromatic with a good depth of flavour and at just £9.65 per bottle it is a steal for a properly made gin – where the botanicals have been redistilled in a pot-still with the base alcohol. You can find your nearest UK Aldi branch here.